I read a couple of reports from Engadget and the BBC that some Windows Phone 7 devices seem to be consuming data at an extraordinary rate. I have been using Windows Phone 7 devices since last July and find this reported anomaly hasn't affected me with the HTC HD7 or Samsung test WP7 device. Matt Miller over at ZDNET has been looking into the reports of rogue data usage by Windows Phone 7. He has had zero issues while using both the HD7 and the Samsung Taylor on the T-Mobile 3G network. I have also been using the HD7 on T-Mobile and have had zero issues with data, so this could be isolated to AT&T. Have any of our readers encountered any issues with extreme data usage? Microsoft is investigating the issue but whether this is an AT&T issue or caused by a rogue app only time will tell. 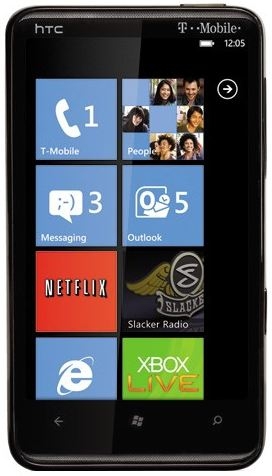 I do use a WP7 on T-Mobile too and I do not see any anomaly. Said that I do not use neither FB nor any other of those "Big Brother "apps so popular nowadays (Orwell must be laughing in his grave). Could not these apps use a lot of data too? And what about "all is sync in the cloud" stupidity too? Keep uploading and sync pictures could also consume a lot of data as well. I have had a Focus since day 1 and my wife has had one since about a week later. I haven't seen this issue on mine and I know I would have seen it on my wife's as she's on the lower AT&T plan. I have unlimited data, but must not have been using as much as I'd thought because I still barely break 200-300 on a heavy month. I use Facebook, Twitter, sometimes share pics, and upload that thumbnail picture to SkyDrive, but looking at daily usage, I don't upload lots of data. My wife doesn't either and I've got quite a few of the "feedback, where am I, etc" things turned on for her phone. I feel for those experiencing it, but so far have been immune. Could be an app that's over-pulling or communicating. While the Marketplace has issues, it definitely isn't causing a problem with over-communicating or it would be far more widespread. (Hanging, slowing down, horrible search filtering - yes, but not too much data.) I also wonder if it could be some app or set of apps that uses more data than expected if tombstoned somehow in the background. I can't wait to hear the details on what's causing it, though. If it's an MS fix, maybe it will come out fast enough to force the carriers to release the first update. If it's a poorly programmed app, it will be a learning experience. Thanks for the feedback guys! At the very least it's good to see Microsoft being responsive about bugs. Now if they can only fix all of the marketplace bugs.... I'm getting tired of having to reset my device everytime marketplace freezes up. HTC Surround on AT&T. I *think* I am experiencing this... I can only say *think* because it is so difficult to be sure on AT&T. It's nice of them, however, to send me a text telling me when I have gone over 65% of my data plan. The thing is, though, that I am in range of WiFi most (or even all) of the day, and should almost never be using my data plan. This month I got the text about usage on the 6th day. Also, the last few days my phone has gone completely dead overnight when not on the charger even though there was plenty of battery left. Last night I turned on airplane mode and it made it through the night just fine... even though I left the WiFi on. I have also discovered some apps will not run while the phone is in airplane mode... even those that should not need a continuous connection (Freda). I'm beginning to think this might just be an AT&T-only thing. A shame, too, since I just re-upped for two more years. Sounds more like an HTC thing, with the other issues you mention. I am not sure about being a HTC issue: I have a HD7 and I do not see it. The thing is, though, that I am in range of WiFi most (or even all) of the day, and should almost never be using my data plan. AFAIK WiFi disconnects when your phone goes into standby, i.e. the screen shuts off when you aren't using it, lock screen active. That state does not stop things from wanting data, such as e-mail, tile updates, and anything you have authorized to run under lock screen. So, even sitting next to your WiFi access point you can still be largely pulling GSM data. This is corroborated by my T-Mobile web data log. All night long, plugged in and withing 2 ft of my AP at home, my HD7 is periodically snagging data. Unfortunately there is no power management utility in WP7 like WM, where I could say, if on external power shut the screen backlight off but stay connected, or any other option that could aleviate some of this. Now I personally haven't had an excessive data issue, HD7 on T-Mobile, but I certainly am pulling GSM data when distinctly in a WiFi zone. This is exactly why I will be placing the phone in airplane mode every night before bed until some sort of fix is created. The best would be some way for the system to allow a forced WiFi vs. Data connection full time. Also, if there were some way to prevent programs from accessing data while the screen is locked would be nice.